Scalar horn radiators in a broad form have an almost constant and uniform beamwidth both in E- (electric) and in H- (magnetic) field. The beam width can take values between 20° und 70°. 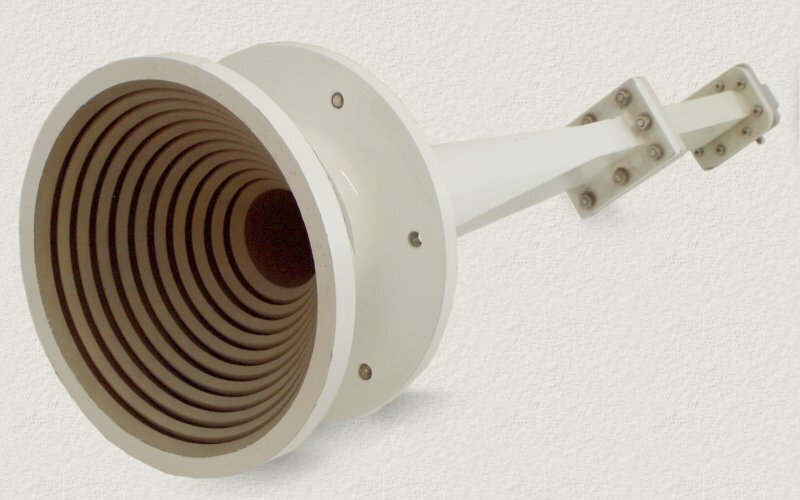 Special features of this antenna are the low side lobes and the low internal losses. The narrow form (see the picture) causes a frequency dependent and also in E and H field uniform beamwidth. The frequency range of this antenna is an octave. The narrow scalar horns can be designed with a beam width of 7° to 40°. One can use these horn radiators for all kinds of polarisation on reason of its circular symmetry.